yeah! 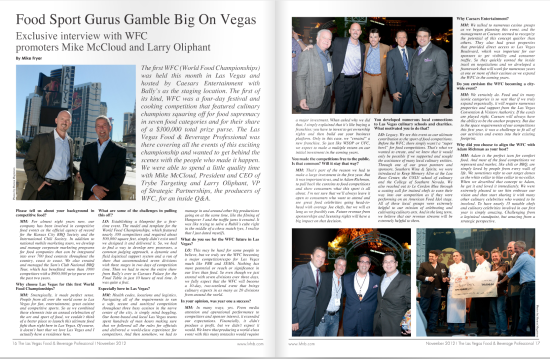 i wanted to show you all The Las Vegas Food and Beverage Professional magazine that came out! i had the opportunity to photograph the world food championship this year, thanks to a wonderful friend and creative director of the magazine Juanita! click on the images below to go right to the magazine and learn more!